Guwahati-based Rongjeng Technologies, has taken up the initiative to properly recycle and collect the huge amounts of electronic waste generated because of IT boom. It is a technology solution company engaged as an executing agency by the International Finance Corporation (IFC), a World Bank group in developing an eco system of e-waste management in the eight northeastern states. The technology solution company with Karo Sambhav will clean the electronic waste without leaving any harmful impact on the environment. Karo Sambhav is a tech-enabled, environment-friendly e-waste producer responsibility organization in India. 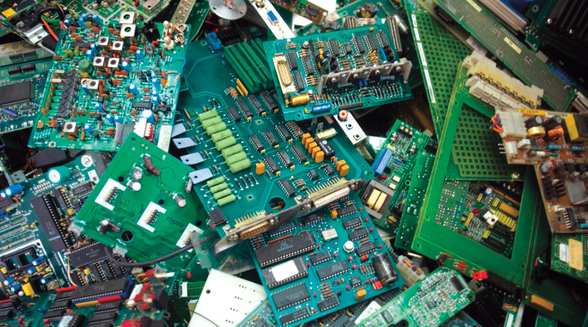 A sensitization programme according to E-Waste (Management) Rules 2016 was held in Guwahati on Saturday, with stress on e-waste, management, the legal aspect, responsibilities of the stakeholders including government and non-government consumers of electronic equipment, said an official. An e-waste helpline number 9706542016 was launched so that consumers can approach the organization and get their e-waste collected from their doorsteps. The company would also launch a drive to ensure household segregation of electronic waste, in the line of dry waste and wet waste segregation with the Guwahati Municipal Corporation (GMC).